I too often wonder where users of these forums end up when they drift off into the unknown, ceasing to contribute. Perhaps these are people that make good progress, have things figured out in their practice but are less willing or skilled to teach others or bring new ideas to the table. -I went through a few years of being super enthusiastic about teaching other people - I had a teacher, I had some students, I wrote some books, I had a blog. It started out with 'instructions' on how to do what I and some friends had done. It later turned into more preachy musings about the importance of this or that way of looking at things or how to cope with problems that arise in practice. When I trashed the lot of it, it was because it wasn't true. I had come to be quite certain that any awakening that happened was not because I spent three months doing X, and then did the Fourteen Grand Steps of Y, and then did a retreat with Z on the slopes of Mount Amazing, but rather because despite my ingratitude, self-centeredness and utterly stupid practices, God wanted me to live a life in deeper intimacy with Him, and he willingly forgave my idiocy and like a dad helping the wobbly toddler climb the stairs, He stepped down and helped me up. As Little Saint Therese said, you just have to stand there at the bottom step and valiantly keep trying to put your foot on the next step, with a good heart and true desire to get to the top, and God will take pity on you and come down and carry you up. And it feels like that. So when on occasion people say they want to read my 'instructions' so they can 'get where I got' I think that's missing the point. It isn't a 'pay three dollars, get a popcorn' system. Moreover, if, in the very beginning, I simply wanted to die in a less awful way then my dad and our friend, who died rather badly at nearly the same time and kickstarted my practice (hey, no one asks me if they can re-live those experiences so as to kickstart a really productive meditation practice!! right? ), that goal got lost along the way. Once practice kicked into high gear my new intention - spoken every day, spontaneously - was "I want divine light, love and wisdom". And at this point I really don't have a clue where anything goes or what might happen. I suppose my only intention now that is constant (besides incidental things like praying for people who ask me pray for them and such) is to always be faithful to God, through thick and thin, as He has been to me, never giving up on me despite my tantrums and frustrations and lack of etiquette and doubts and so on. So it's a bit hard to have pat answers for questions people might ask. Each person's circumstances are entirely different, and their capacity to understand varies, and what would be the perfect answer for one person will be useless or even counterproductive for another. I gave up going to public or even group presentations, talks and teachings because the information is nearly useless - it's aimed at a crowd of 10 or 100 people, and addresses no one in particular. I used to take notes diligently at every talk. I often don't even pay attention anymore. I have a box full of notebooks full of notes taken at talks, retreats and homilies, all of it useless. I can't remember what else I was going to say... I think about practice being something sacred, and holding a reverence and awe for our spiritual life. It is such a gift, such a treasure, to be called to even have a spiritual life at all - many people don't have the remotest interest. It's even more of a treasure if you manage to engage with it and stick with it. Not something to be a snob about. Something to be grateful for. Like that. Anyway, that's the morning ramble on that matter. Thanks to Nicolas for provoking the post. Thoughts? I think in early practice folks tend to get more out of talks, books, message boards and audience-based information of a one to many nature. Its efficacy trails off, however, to a point that it does become useless. Last Edit: 18 Mar 2019 10:41 by Chris Marti. Thanks for the initiative and thoughts Ona. The world is complex beyond comprehension. The human mind is complex beyond comprehension. The twain shall never coincide. My only hope is to accept that. Last Edit: 18 Mar 2019 12:07 by matthew sexton. Didn’t Thomas Aquinas at the end of his life say something to the effect that everything he had written was “but straw”? Or is that an urban legend? I personally have lost track of my motivation as well as my practice, and am still seeking, although I hesitate to call myself a seeker. My practice thread for about 5 years consists of a lot of thrashing around. Sometimes life catches up with people and becomes so complicated and unwieldy that they have to attend to it. That I recall Mr Aquinas had an epiphany, which so humbled him that he chucked the whole Summa into the fire. His friend rescued it, for which we are to be grateful, I have been told. Ironically my spiritual director confiscated my Summa, to make a point about it being a lesser vehicle than ones own personal relationship with God. St. Thomas Aquinas invented the multi-level outline, the kind I learned in high school. I appreciate his clarity. I noticed a profound perspective shift recently. It was a slight adjustment with a large reveal, so to speak. In a strange way it triggered a similar "something's not quite right" sense that got me into meditation in the first place. With a record-breaking wet winter affecting my day job and keeping me indoors, I was feeling out of shape and out of routine mentally and physically. I had succumbed to old patterns of nihilistic alcohol use and heedlessness. 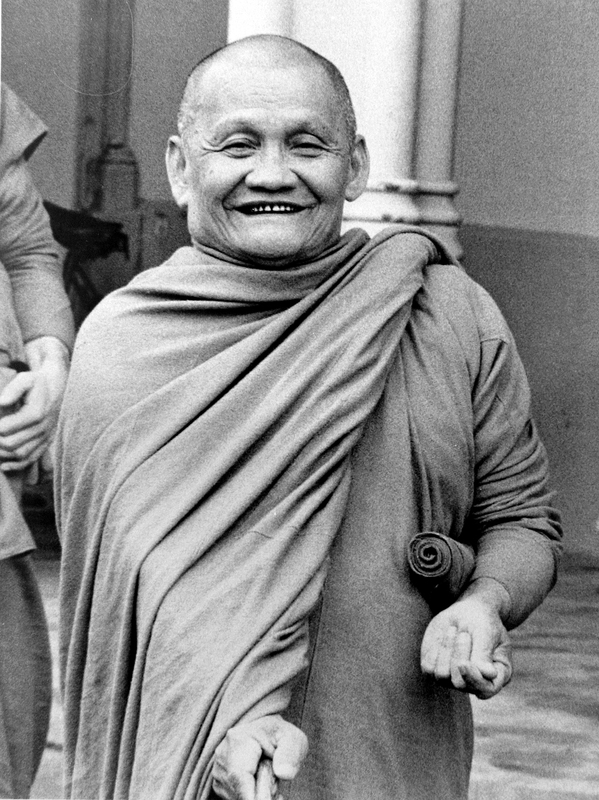 For the first time in my practice (outside of retreat), I met with a lineaged teacher, one in the Theravada tradition. He listened to me go on about paths and cycles and other nonsense and shot back at me the basics. He reviewed the eightfold path with particular refreshing attention to Right View (in seeking out sources of suffering) and instructed to ENJOY my practice and bring JOY and SATI into every moment of the day. These basic instructions are so often obscured or overlooked with all the philosophizing, techniques and maps discussed. Last week I made every effort to follow these instructions and found every past liberating insight coalesce into remarkable peace and joy that had been dormant inside as I foolishly had been waiting for the next path or insight to do the work. Now reading this back, it sounds downright silly or trite but it's true. As we all know, good practice is about the process of a mindful consistent stoking of the fire all day. Not "I'll sit practicing diligently for 2 hours and then let my mind run wild the rest of the day." It isn't a 'pay three dollars, get a popcorn' system. You would think I would have known better and deep down I did. The ego just didn't want to face it. In my accepting of the path wholeheartedly, the insights and liberations bear their fruit. It clicked. There is understanding. I'm not done by any means, but I see the way forward and it has little to do with technique or models or maps. Now imagine how many people are a tiptoe away from the fruit of their hard work but find themselves in the same position occupying their minds with concerns of being "pragmatic" or "scientific" dwelling over the technical aspects of practice. Perhaps these are the same people that finally "get it" and if they are not natural teachers, leave the raft (these forums) on the side of the river. To go out on a limb and speculate, perhaps we could have kept them around longer contributing if we put a little more emphasis on off-cushion practice, the art of stoking the fire and cultivating joy within peace. Would they also then find more joy in contributing with the online community? The teachings of the Buddha are so simple (and practical!) and I think we could all benefit to point that out more often. If I am barking up a very old and tired tree right now, please forgive me. Maybe there is more awareness of this on AN than other places. I'm aware that this issue is addressed often, but for those who are incredibly stubborn like me - MORE EMPHASIS PLEASE. I am in no way discounting the treasure of the techniques, maps and models to which I everything and have allowed for the very realization I am speaking of here. I'm just suggesting that we could be more often sharing with others the importance of enjoying their practice and to bringing joy and mindfulness into each moment of their day. What do you think? So ... responding to Nicolas and speaking from somewhere in the twilight zone. The whole process has led me to changes in perspective that are absolutely huge, but at the same time completely trivial. On one level, It really is just like cleaning mud off the windscreen. The practices I made use of, and the worries I had, now seem kind of strange to dwell on - and sometimes they really were nothing more than patterns in the mud. On some issues or perspectives, it can be hard to talk, partly because they don't 'grab' me anymore, but also because it is like teaching an introductory theory that you know to be wrong, even if it is necessary. Yet other things do hold up - the eightfold path, the discussion about heart awakenings was great, and I love the spiritual journey that Ona points to (again above), to give a few examples. Those are all still really engaging to me. And yet ... it's like I have cleaned myself up in the bath and pulled the plug. The water is swirling around, and the soap, and washcloth and rubber duck are bumping about, and there are some weird gurgles and intriguing skin sensations. That is all quite interesting, for a while. But I can feel the water draining, and pretty soon it'll all be down the plughole and what's left will be sitting inert on the bottom of the bath. What will I do then? Probably go back to my old life, but with a love of the dharma, and an emotive engagement with the world. Could I teach dharma? Not sure I have the right knowledge and skills for that. But even if I do, it was not part of the life I previously led, so probably won't be part of the life I return to. And as another complication, I now realise that some things should not be told directly, as they cheat the yogi of the power that arises from self-discovery. So for now, I'm sticking around and really enjoying the discussion ... while my phenomenal existence slowly drains into the cosmic plughole. Anyway, here is my view on Ona's original comments. It is good to have seasons of practice, and changes. Too much dedication leads to clinging. Which leads to confusing spiritual states with spiritual knowledge. Which leads to getting stuck in subtle ignorance. (As I no doubt am right now! ) So if I were to promote a dharma, it would probably be the restless dharma. Which is, of course, exactly the dharma of Buddha and Jesus. Seeking, changing, regrouping and trying again, going on a journey that is indirect and never-ending, until suddenly you arrive. 1. There's a reason we call this a "path." It's got parts and pieces, and there are turns, twists and roadblocks along the way. It's easy to sit back after traversing it for years and say to people - hey, it's not about the maps of the path or the technicalities of how to use a compass, or how fast or slow to walk. 2. The most important moment of my life, quite literally, was the second I realized the path I had been on for years was nonsense. Heck, it wasn't even a journey. What I had been seeking was already there and had been right in front of my nose the whole time. I said at that time, it's all a cosmic joke and the laugh was on me. 3. I try hard to recall what it was like many years ago when I was just starting my practice. I see what many people need to get started, or to keep going, as expressed on websites like DhO. Some of what's being said on this topic would have, quite literally, pissed me off. Maybe enough to just quit trying. Both of these views are true. We can know the maps and the technicalities are useless, a joke, and we can need them and use them wisely, especially in the beginning. Last Edit: 19 Mar 2019 07:45 by Chris Marti. Last December I bought a snow shovel to get all the snow off my driveway during the coming winter. It was that or just wait until it melted and miss work, maybe even starve to death as I slowly ran out of food. July came along and I was able to sell the snow shovel to some poor schmuck who seemed to have no idea it was useless. I see what many people need to get started, or to keep going, as expressed on websites like DhO. Some of what's being said on this topic would have, quite literally, pissed me off. Maybe enough to just quit trying. Right. We must be careful. I realize what I have said above is in a big part so easy for me to say because of all the research and work with the technical aspects. I'm unsure if the realization of joy in peace would or could have happened earlier if I would have been looking for it. In my experience, the path seems to differ for people quite a bit more than the general consensus a la MCTB wants to admit. Maybe a little more emphasis on moment by moment cultivation of joy could speed things up for certain people. I suppose Metta is already addressing this. Even still, I feel that the pragmatic practice mentality could use some "warming up" but maybe this hindsight is only clear from the other side. I feel that the pragmatic practice mentality could use some "warming up" but maybe this hindsight is only clear from the other side. Yes, I agree with this. We've talked about it here a few times in the past. The pragmatic dharma scene tends to be focused on things like avoiding emotions - as opposed to embracing them. Last Edit: 19 Mar 2019 08:45 by Chris Marti. The other bit I said was in response to Chris "3. I try hard to recall what it was like many years ago when I was just starting my practice. I see what many people need to get started, or to keep going, as expressed on websites like DhO. Some of what's being said on this topic would have, quite literally, pissed me off. Maybe enough to just quit trying." I said that I found the exact same problem on the DhO, due to the excessive clinging to Mahasi-style noting sometimes present on that site. Last Edit: 19 Mar 2019 19:07 by Curious Malcolm. Oh Ona - sorry if the discussion is unhelpful. I will delete my previous post. It is maybe a bit argumentative - the argumentative/reobservation nana arose! So I have zapped that nana and returned to equanimity. What's wrong with a good argument? I meant dying laughing! I didn't think anything was argumentative. So to say, having a good old-fashioned full-blown tradition that includes the whole person doesn't prevent people a) getting into trappy spots b) avoiding healthy practice and c) just being their weird selves. Last Edit: 19 Mar 2019 17:04 by shargrol. Do'h! Poe's law (extended edition). Original post more or less restored now. Last Edit: 19 Mar 2019 19:05 by Curious Malcolm. I will tell a couple of anecdotes involving "joyful" or "serious" people. Once in Rome I paid a few dollars at a convent to be able to go upstairs to see some wall paintings (there's a word for that...). It was all very Luddite - the elevator had to be manually operated by one sister, and another sister attended a small gift shop and sold the tickets. When I got off the elevator to enter the room with the paintings a third sister was fussing with something 20 or 30 feet away. She turned around to say hello to me and my friends, and we caught each others eye in a strange way, and her face lit up with an incredible smile. I had a feeling as if I'd just run into a long lost dear friend, and grinning back, walked over to her and gave her a hug and a kiss. We laughed and clasped each others's hands for a moment until the elevator-sister opened the door to the paintings room and impatiently gestured for us to go in. That was some years ago and I remember her in a special way, even though our interaction was for maybe a minute, if that, and didn't say anything to each other. To my mind she radiated a special kind of holiness. I know a priest who is famously gruff, impatient and tough on the people around him. When boys who have served at the altar during his Masses tell stories, they always imitate the way he manages to lose his temper even during Mass, if the server brings the wrong item or forgets what to do. One kid is particularly adept at imitating the way the priest's impatience begins with a gruff reminder hissed under his breath, and quickly escalates to a harsh, even insulting scolding, which the priest manages to do in the same barely audible mumble, so that only the confused altar server hears it and the congregation never notices. In interactions with the public he is likewise usually formal, gruff, and brief. No hugging, chatting, or hanging out. All business. Imagine my astonishment when on one occasion he attended to me when I was ill. I had gone to see him, together with a couple of friends for company, and after the usual 'all business' blessing he suddenly gave me a genuine paternal smile, a clap on the shoulder, and encouraging word, and...wait for it...a sincere hug. It was so unlike him that I realized I was drawing a lot of conclusions about his inner life and private thoughts based on his usual manner. Which might well have little to do with how he really felt. I have no idea of his upbringing, life experiences, or even the kind of work he has to do each day. And a funny one: I was at a retreat center for ten days, and had arrived with a lot of life turmoil and problems on my mind. I decided that if the opportunity arose, I would ask some of the more pressing questions - perhaps I'd encounter a monk, priest or even fellow lay person who seemed like a good listening ear, to whom I could explain some of the stuff I was trying to sort out and hear what they had to say. So around day 4 I noticed there was an office next to the front desk that said "Chaplain". I looked in and there was a very, very elderly monk poking at a computer keyboard. I tapped at the open door and asked if I could come in. He cheerfully invited me in, gestured me to sit, and asked which group I was with and how I was liking my stay. He kept up a chit-chat conversation (about the weather, etc.) for a few minutes. I realized as we chit-chatted that every sense of there being any problem to talk about had drained from my mind. I had no questions. I couldn't think. I was profoundly content, and the conversation with him, though superficial, was engaging just as it was. He sent me off with a "Well enjoy your stay now." and I accepted the dismissal and wished him well and went for a walk. I remained utterly content for some days, until I came home and had to deal with some of my problems again. But the memory of that monk will stay with me. And it was utterly banal. Weird. He didn't seem joyful, nor serious. Maybe more serious than joyful. But deeply at ease, certainly. That might be the best description. I think some people call them "frescos", I just call them posh graffiti. I'm just going to take a brief break, for a month or three, while the plughole gurgles. I'll be back. Metta to all. Enjoy your quiet time, Curious Malcolm. Last Edit: 28 Mar 2019 07:29 by Chris Marti. Those of you who feel that your previous practice was useless or silly, did you enjoy it while you were doing it? I’m on that early stage of the path that will probably give me a laugh in hindsight, but I take great pleasure in it right now. The alternative is much less attractive. I think the snow shovel analogy was very to the point, except I love meditating whereas shovling snow is something I’d rather not to unless I really have to.